Writing Prompt: Your father left 20 years ago...Today he comes home...and the first thing he says to you is "You're never going to believe what happened." Below is a short narrative I wrote from the sub-reddit "Writing Prompts". It is a sub where a topic is posted and users post a story that comes to their mind. This is what sprang to my mind. Below is the topic. [WP] Your father left 20 years ago the night before your birthday to get Cigarettes, Milk, and Bread. Today he comes home with long bedraggled hair, weather beaten skin, and a sword on his hip. The first thing he says to you is "You're never going to believe what happened." "I’ll be right outside if you need me,” said Private first class Jennifer Mutin before she turned away from me. I turned my attention back to the room and the door slid closed behind me and I found myself alone. The air smelled stale and cold and the room had no furniture. The walls were sparse, only covered with the steel panels from the inner ship hull. The floor was a brushed steel plate and my freshly polished boots contrasted starkly against the stainless steel. I took a long deep breath before I had the courage to look up from the floor to the center of the room, where I knew I would fine him. When my eyes finally saw him I had to choke back the tears. I steadied myself, straightened my uniform and then stepped towards the center of the room. Cast in a single spot light lay my father. Dressed in his marine blues, his body was draped with the flag of the marine corps. His arms were folded across his chest with white gloves holding a silver ceremonial sword. My eyes moved from the flag up to his face. It was dark, tanned and he had long curls of hair cast around either side. He looked exactly how I remembered him all those years ago. Is that what faster than light travel did? From my uniform I pulled out an envelope with a wax seal and my name on it. “Marcus” was written in pencil on one side and on the other was a green seal stamped with the letter “R” for Robert. I had received the letter just that morning. It was hand delivered to me with the instruction not to open it until I saw my father. I hesitated before opening the letter, but broke the wax seal and then unfolded the paper inside. You are never going to believe what happened, but i need you to trust me. What I am about to tell you now will determine if you ever see me or anyone again. It must be close to twenty years in your time since you last saw me. For that I am sorry, but it has only been a few months since I have left you and your mother. I hope she is doing well. That night, on March 26th, when I left the house to get milk and bread, something extraordinary occurred. Humanity finally made contact, or rather contact finally touched humanity. I was there and I went with them. I am still with them. But there is something dangerous out here in the deep of space and it is coming. It has taken notice for humanity. Please believe me that I need your help. From here on out you cannot trust anyone. They know that I am going to try and get in touch with you. I need you to follow my instructions precisely. After you read this letter proceed immediately to the spaceport at NYC13. I have made arrangements to get you more information there. Please be safe, and remember do not trust anyone. I lowered my hands and stared in astonishment at his body lying on the table. Was this some sort of joke? Had my father gone mad before his death? The official report stated that his death was classified. I had not seen my father in twenty years and then suddenly two days ago I received communications from the naval intelligence office stating that he had been killed in the line of duty. Questions were swirling in my mind and I looked from the letter back to my father lying on the table in front of me. What did this letter even mean? What did he mean “if you ever see me again?" Before I could even think, the door to the room opened and I turned to see Private First Class Mutin standing in the doorway, only this time she was accompanied by two military police. “Ensign Caldwell. You need to come with me." A couple of weeks ago I had the opportunity to goto the ESRI User Conference in San Diego. It was quite an impressive conference with approximately 15,000 people in attendance. This is the second time that I have been able to goto San Diego, before was when my wife had a conference of her own there. I won't get into all the geeky details of the ESRI conference, but I think there are two things that were cool from the conference that the general public can enjoy. Most of ESRI's tools are geared towards enterprise solutions so they are paid accounts, but there are a couple of free things out there for people to try. The first one is ArcGIS online. 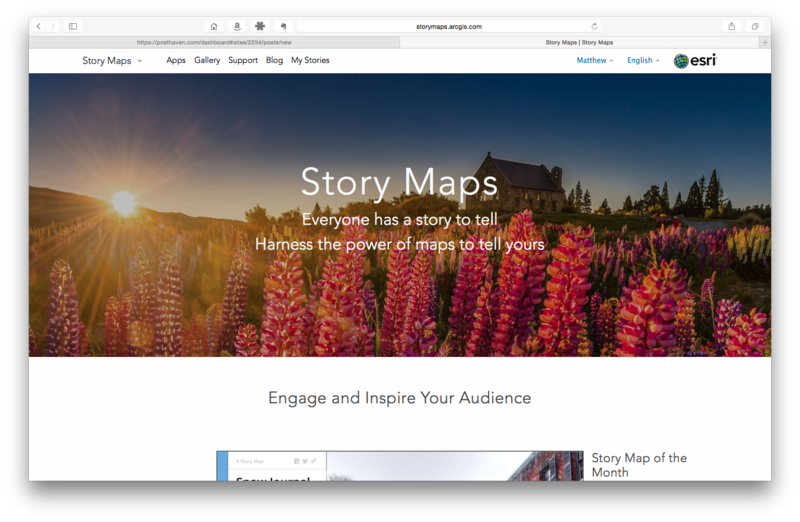 This is basically an online mapping interface for people to create maps. Most of us are experienced with using Google Maps, perhaps even some of us out there have done some line or polygon drawing in Google. Over the past couple of years I think Google has basically ruined their mapping interface and while it is still good for routing, creating custom maps is a nightmare. ESRI thankfully has a pretty easy and robust solution. 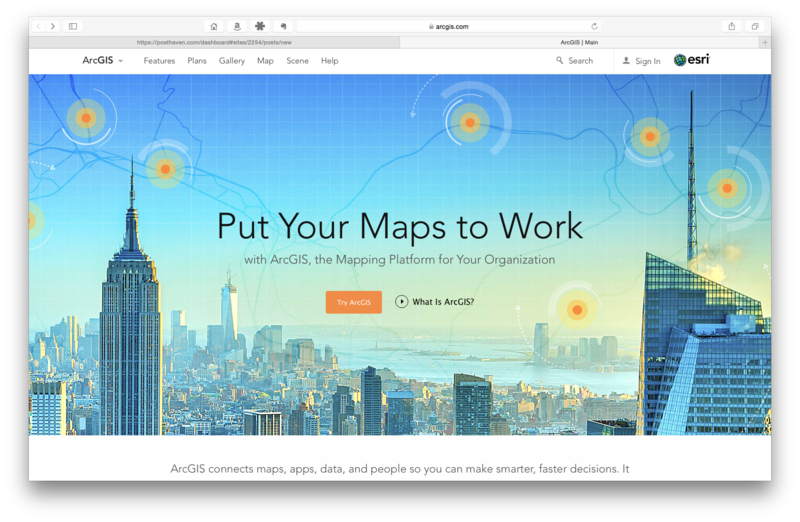 Over at ArcGIS.com you can setup a free account that gives you 2GB of storage space to upload files, data, images or whatever for map creation. They have really done a nice job and their embed and creation tools are really robust. Plus they have a fantastic community of "base maps" from census.gov, the USGS, etc. that people can use. It really blows Google Maps out of the water so if you do any sort of tracking with GPS for hiking, biking or whatever, I would highly recommend people check it out. Finally we did have a bit of fun while in San Diego. The food there is always wonderful and we had an opportunity to visit the zoo one day. Finally had an opportunity to upload the route from the Tri-state tour my dad and I did a few weeks ago. Putting it on the map gives you a good idea of how long the route really was.